If you have any questions or want to enquire about dates, use our form to contact James Cole or see their website for more information. 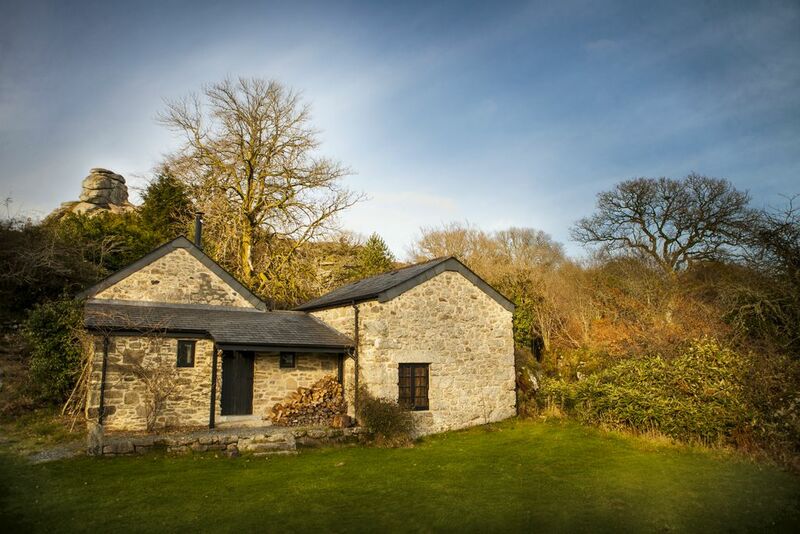 This stone barn conversion stands nestled in woods at the end of a mile-long track in the middle of Dartmoor. James lives in the cottage behind but you’re separated by a stretch of garden so you feel very private, and if he’s not here he’ll leave you a key. You’ll find the essentials – tea, coffee, milk – and a huge pile of logs on the porch. Light the wood-burner in the open-plan living room and settle down with a good book or have a barbecue in the garden, sipping wine while you watch the stars come out. Outdoor adventures await – streams and a quarry for a cooling plunge in summer, leisurely rambles or day-long hikes through the moors, overnight camping in the nearby bothy. There are country pubs nearby and you can stock up and hire bicycles in Tavistock, a 15-minute drive away. 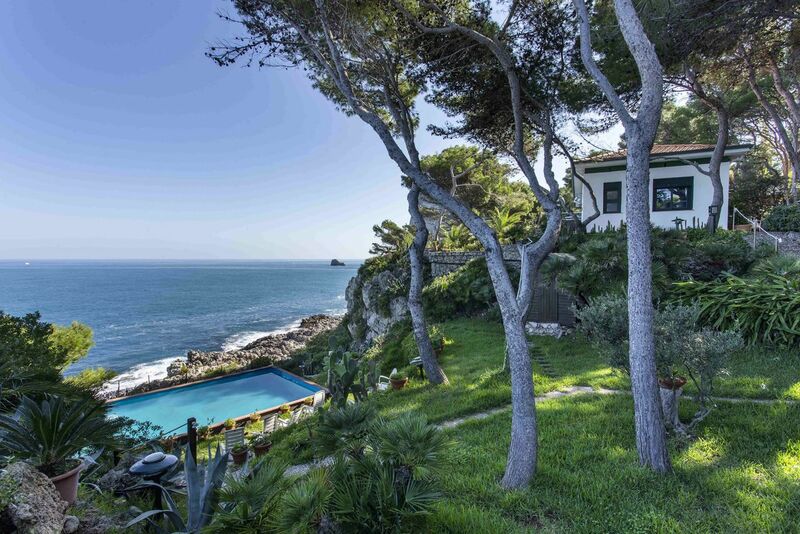 Minimum stay: 2 nights, 4 nights in high season. Sofabed on mezzanine & 2 bell tents available. 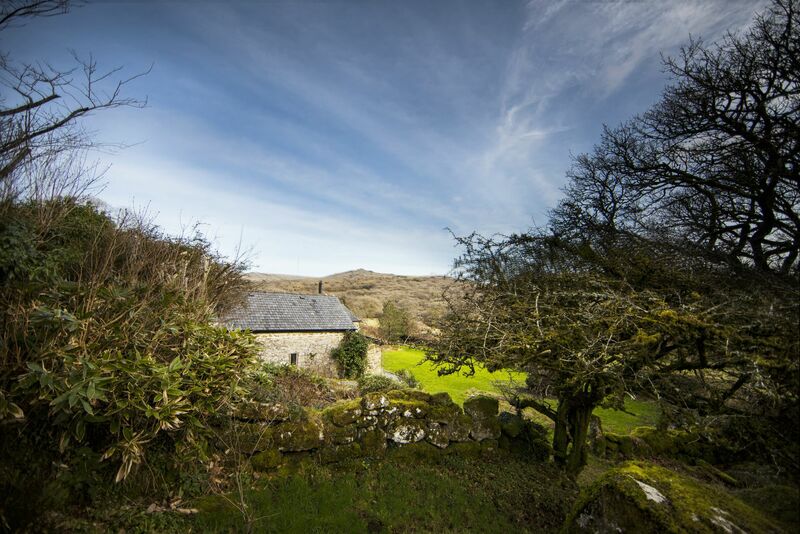 A comfortable barn in a stunning location with ancient woodland and all of Dartmoor to explore from the front door, and a cosy wood burner to come home to. Wild swimming and spending an evening at the bothy would be great fun in the summer months. Wonderful. Miles of open moorland lie both to the north and the south of the Barn, with granite tors, ancient woodland, shaded streams and waterfalls all in walking distance. A short walk will take you to the top of Pew Tor, which has panoramic views stretching as far as the south coast and Bodmin Moor. Tavistock has a range of delis, restaurants and shops. We are located above an ancient oak forest, underneath the granite outcrop of Vixen Tor and above the Walkham Valley into which countless streams tumble. The site of Vixen Tor Farm was a Bronze Age farmstead and has been inhabited for over 3,500 years. Surrounded by trees and moorland, on the western boundary of Dartmoor, our vast, mystical landscape is perfect for a calming and active break. We have access to cascading rivers, wild flower meadows, boulder strewn bluebell groves and the open moor – literally out the back door. Tavistock is a pretty and busy market town, with a farmers' market on 2nd, 4th and 5th Saturday of each month 9.00am-1.30pm. It's a real treasure trove of fresh, local food, drink and plants direct from the producer. The town centre is 15-20 minute drive. The stars are clear and bright, displayed across one of the few dark skies left in the United Kingdom. The perfect spot for star gazing. We have put together a team of highly recommended partners to help you create your own experience. Why not combine climbing, hiking, mountain biking or horse riding in the morning with yoga, nutritious rebalancing diets and meditation in the evening? James is welcoming and easy going, and with a life-long love of this land. 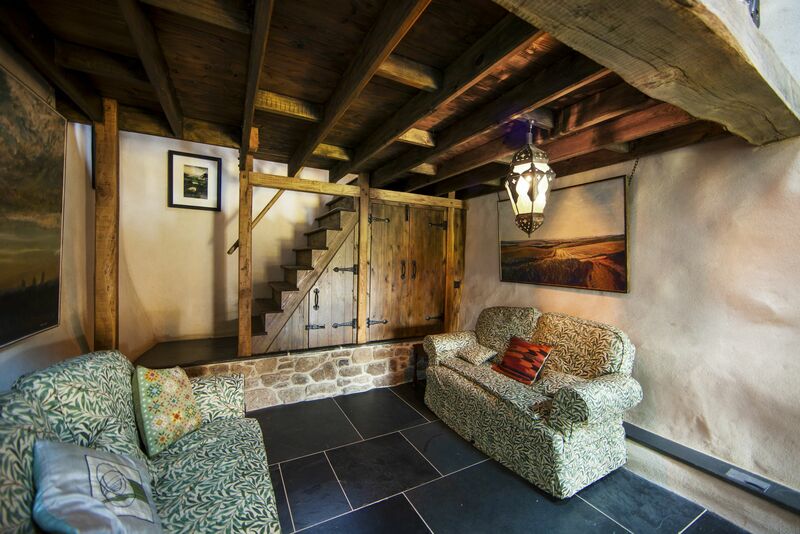 He discovered Vixen Tor Cottage as a child, when he and his father were walking on Dartmoor and inadvertently found themselves trespassing on the land. The owner at the time, an elderly lady, emerged from the cottage to tell them this and then promptly asked them in for a cup of tea! Many years later James was able to buy the property and more recently has renovated the barn to share with family and guests. Now he and his family split their time between here and London.